"We believe on-officer video is the next major wave in public safety," said Rick Smith, CEO and founder of TASER. "Many thought leaders in law enforcement are telling us they see on-officer video will become standard equipment within the next 5-10 years. 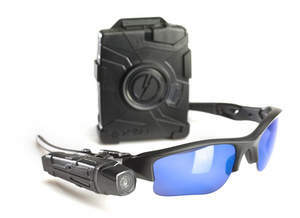 We believe on-officer video will have a significant positive impact on law enforcement similar in scope to the impact of TASER weapons in the early 2000s," concluded Smith. These orders were received in the first quarter and are expected to ship in the first quarter. Since 1994, more than 255,000 private individuals have relied on TASER technology to protect themselves and their loved ones. Learn more about TASER and its solutions at www.TASER.com and www.EVIDENCE.com or by calling (800) 978-2737. TASER® is a registered trademark of TASER International, Inc., registered in the U.S. All rights reserved. TASER log and AXON Flex™ are trademarks of TASER International, Inc.